For Students embryology should be taught in detail so they can understand how actual development of human occurs. So they can correlate disease pathway, development of disease in a body and its relation with 3 chronic miasms and relation of it with haemodynamics in our body. Then it will become easy to understand pace & action of homeopathic medicines in different potencies. 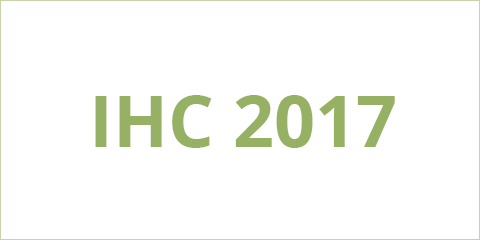 IHC 2018 to be announced soon.. Core Committee and Executive Committee are working out the dates for next International Homoeopathic Congress i.e. IHC 2018 soon. The event is expected to be held during the last quarter of the year 2018. 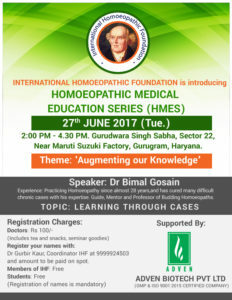 Homoeopathy requires evidence based practice and research. The progress is very slow. The modern equipment/ laboratory facilities should be utilized for this purpose . The energetic ,experienced , qualified people must be given opportunity to work for the cause of Homoeopathy.